Learning by doing — is a fundamental principle of education, particularly when it comes to the STEAM subjects of Science, Technology, Engineering, Art, and Maths. As Industry 4.0 continues to become embedded across many sectors, digital 3D technologies are increasingly important for cross curricula learning in a way that will fill the current skills gap out in the real world. The importance of embracing 3D technologies, including 3D printing, is vital and this means a hands-on learning approach with the tech. FELIXprinters are a perfect match in this regard, and fit easily into any classroom environment. 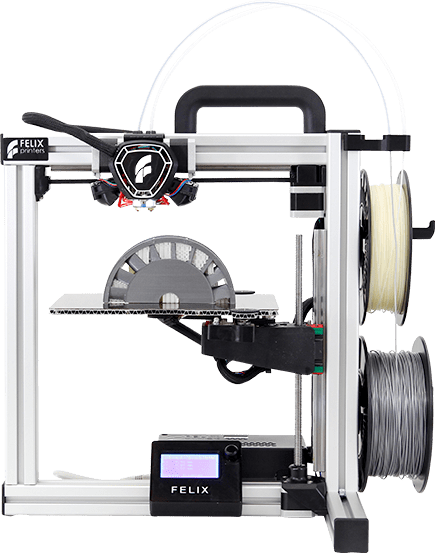 The Felix Tec Series offers a range of safe, cost-effective, and reliable 3D printers that operate with virtually no-noise to provide teachers and students alike with an efficient and valuable learning resource. The benefits of an in-classroom, hands-on approach to 3D printing are numerous and varied but include positive student engagement and motivation, innovative and creative learning environments, and critical thinking and problem solving opportunities — all of which fulfil the demands of a transitioning workforce in terms of skills, innovation and technology. A 3D printer can engage the attention of students of any age, and encourages them to think outside of the box. FELIXprinters’ self-assembly 3D printer options also provide a platform for students to understand and build a 3D printer, which further enhances their technical knowledge in a fun way. Why choose FELIXprinters for a classroom? We offer the best customer service, and we want you to start 3D printing and keep 3D printing in the classroom. Our service team will always be available to support you. We have a proven track record, and have been producing high quality, reliable 3D printers since 2011. In addition, our automatic calibration and filament detection features mean that students will not encounter frustrating errors before printing due that can be caused by manual adjustments or due to bad filament. We also incorporate dual head printing, which allows you to create the most complex objects. 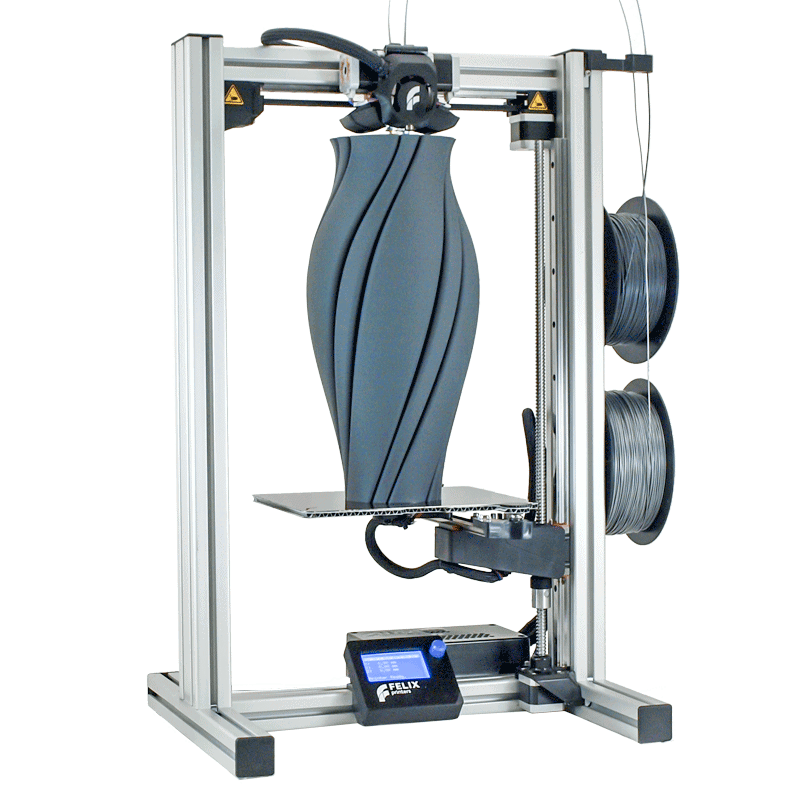 And of course, as our machines can use any filamant that meets the tolerance specifications (our own or from other suppliers) schools are not tied to using proprietary filament materials and can use filament of any brand. We do strongly recommend that you use FELXprinter supplied filaments as we can guarantee their superior quality. Using FELIXprinters filamants enhances the end-user experience, and we supply many types (PLA, PET(G), Flex, ABS, PVA, Wood, Glass, Mineral), so your options are huge.